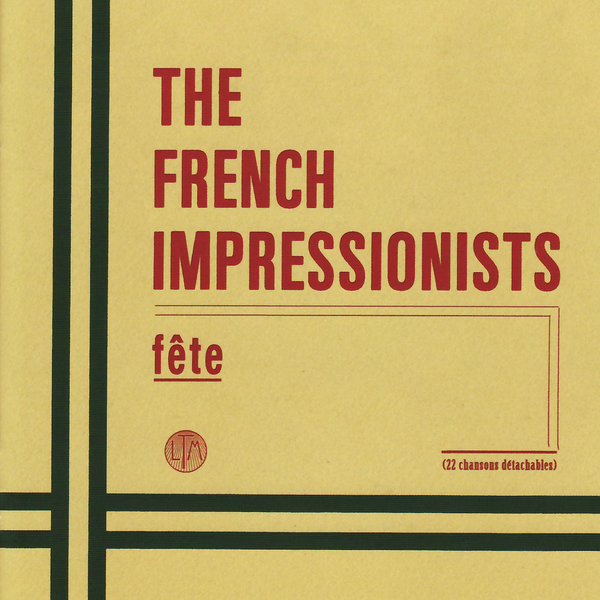 The French Impressionists are billed as a 'new jazz' combo whatever that means, but the cult band to my mind are far better than a tired genre tag could ever suggest. They are probably best known for releases on the Factory-connected Les Disques Du Crepuscule label in the early 1980s, but since then founder member Malcolm Fisher has been busying himself in Milan and has put a new group together. This new group plays the tracks featured on 'Fete', a totally new album for the band, and while Fisher has managed to put out plenty of solo material since the 80s, this new venture features some of the artist's most arresting material to date. A cross-genre blend of solo piano, vocal jazz and modern composition much of the lyrical content is taken from classic poetry, a move which makes perfect sense in context with the ineffable beauty of the music itself. You see Fisher isn't afraid to make his music 'pretty' for want of a better word, and while most of the jazz world might snarl at this kind of thing, for me Fisher manages admirably, with a sense of humour unusual to find on a jazz record. When he uses synthesized strings for example (perfectly justifiably) it seems like he's making a deliberate attempt to thrust two fingers up at the establishment, but by doing so comes up with a smokiness reminiscent of Angelo Badalementi circa Twin Peaks, which is no bad thing. Sure this won't be to everyone's tastes but jazz fans in search of something very knowingly different should look a little closer.